A dull and boring grey sky marred by comm. lines, a beautiful church with a tilted cross and some lovely pink flowers. Captured in Mumbai using a cellphone while travelling through a cab. Great clarity even though taken from a mobile. Okay I wouldn't have known that it was taken from a moving vehicle, and with a phone no less... nice one! Thanks G :) In fact it has come out unexpectedly. I was hoping for a blur effect but was pleasantly disppointed. Lovely! Contrasting colors and all :) Good shot! 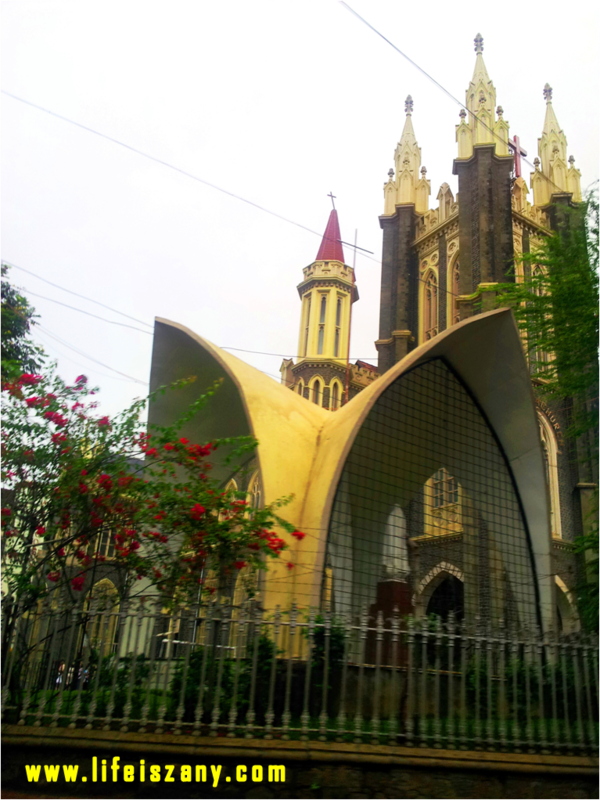 Lovely building..btw is the church in Bandra?